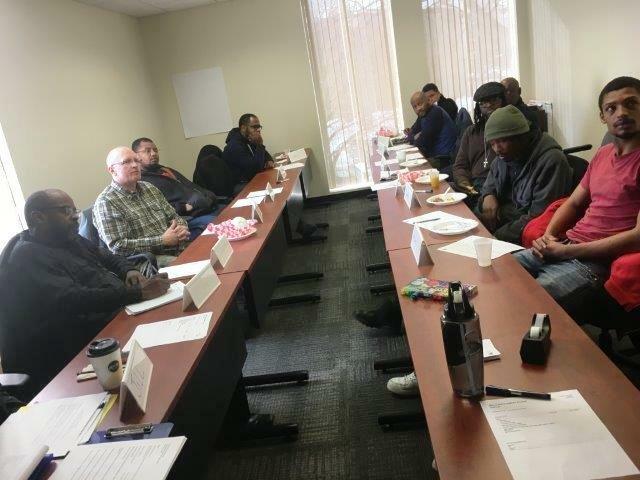 Illinois Action for Children has been hosting Fathers, Uncles, (Step) Dads, Granddads, and Everybody else (“FUDGE”) in various parts of Chicago since 2011 to discuss supports for men who take an active part in the lives of the children under their influence. This February, IAFC’s brought the conversation to the Early Learning Programs in the South Suburbs of Cook County. A small team co-hosted a conversation with male caregivers from four South Suburban communities. The purpose was to help the IAFC Early Learning team deepen their father engagement work. The team asked one question: How can IAFC Early Learning work better with males to make a difference? We hope these insights can inform your outreach and engagement work. Let them know you see them. Once a month, show a token of appreciation recognizing male engagement. Post photos of men with children and display quotes from male leaders to show you value male contributions. Create artwork for children to give to the men in their lives. Make time to verbally acknowledge dads when they come into the building. Father friendly is just plain being friendly to men. When hosting a father’s group, know your audience. Talk about the latest sports event as ice breakers. Display sports magazines, carve out a father’s corner, and show verbal and non-verbal signals that they are welcomed in the space. Don’t assume men can’t, won’t or don’t want to be involved. The men shared say they have many “skills” to contribute to the program. Help them anticipate child development learning milestones. Give small activities to help Dads work on developmental milestones at home with their own children. Address event invitations to the men, and send personalized reminders to men the day before the event. Fathers want to support other fathers. It is not easy being a Dad. For some dads, this is their second time around as a father. They want to do all they can to get it right. Men who had excellent role models want that and more for their children. Create opportunities for men to step in the gap for fathers who are not available to come into the center or to an event. Try a men’s only gathering. Co-create with the Dads – they know what might do and where they might gather. They do not mind the assistance of females, but want to put their own spin on what Father Engagement will be. They realized the group may not be large but if you add up the fathers, uncles, step fathers, grandfathers, foster grandfathers, male staff members and other father figures, that are enough to make a positive impact.